The first video, "Wiring up 4G in NYC: Rooftops," is out now, embedded below. In the video, Iyad Tarazi, vice president of Network and Development, shows what a 4G cell tower really looks like. I must, say, I was very much surprised by its miniature size, especially compared to the 3G cell tower right next to it. This little mini-fridge-sized box you can see below, coupled with a relatively small antenna, occupy minimal space on roofs of hundreds of buildings all over New York City. Impressive. 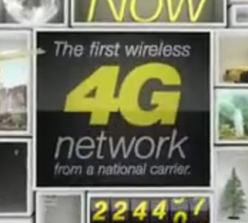 Oh yeah, and NY City 4G is coming soon! OVERLAND PARK, Kan. (BUSINESS WIRE), September 28, 2010 - To demonstrate the power of 4G and provide a “behind the scenes” glimpse into getting ready to launch 4G in several major metropolitan areas, Sprint (NYSE:S) today released the first in a series of brief, educational videos. Sprint 4G – already in 53 cities,1 including Chicago, Baltimore and Houston – will make its debut in several of the nation’s largest urban areas, such as Los Angeles and New York, by the end of 2010. This new fast wireless technology allows users to experience video-chat capabilities, rapid downloads of large files, and to conduct high-speed Web browsing on a Samsung Epic™ 4G or HTC EVO™ 4G smartphone. Many people may wonder what it takes to build out this new service; these videos will help to educate and inform. The first in the series, “Wiring up 4G in NYC: Rooftops,” features Iyad Tarazi, vice president-Network and Development, with Michael Galluccio, sales manager-Sprint New York metro, on a rooftop in New York’s Hell’s Kitchen. Tarazi explains the positioning of a newly installed, compact 4G cell site and antenna system that will deliver peak download speeds up to 10 times faster than 3G2. 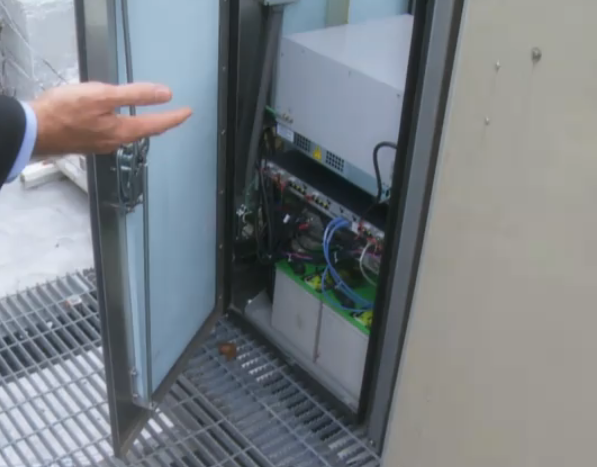 Interestingly, the 4G technology resides in a cabinet that is about half the size of 3G equipment. Future episodes will explain how 4G technology serves Sprint’s customer base in crowded and complex areas like New York, Los Angeles and San Francisco. For example, viewers will learn how Sprint’s 4G network will provide coverage to major transportation hubs, tunnels, bridges; what are some of the intricacies of trying to wire subway tracks; how does wireless reach the top floors of tall buildings; and, how technology can reach people on freeways and major thoroughfares as well as traditionally tricky spots like valleys and mountains. Sprint is delivering the power of 4G as the majority shareholder of Clearwire, the independent company that is building the WiMAX network. For more information, visit www.sprint.com/4G. 1 Sprint 4G is now available in 53 markets: California – Merced, Modesto, Stockton, Visalia; Delaware – Wilmington; Florida – Daytona Beach, Jacksonville, Orlando; Georgia – Atlanta, Milledgeville; Hawaii – Honolulu, Maui; Idaho – Boise; Illinois – Chicago; Maryland – Baltimore; Massachusetts – Boston; Michigan – Grand Rapids; Missouri – Kansas City, St. Louis; New York – Rochester, Syracuse; Nevada – Las Vegas; North Carolina – Charlotte, Greensboro (includes High Point and Winston-Salem), Raleigh (includes Cary, Chapel Hill and Durham); Oregon – Eugene, Portland, Salem; Pennsylvania – Harrisburg, Lancaster, Philadelphia, Reading, York; Rhode Island – Providence; Tennessee – Nashville; Texas – Abilene, Amarillo, Austin, Corpus Christi, Dallas/Fort Worth, Houston, Killeen/Temple, Lubbock, Midland/Odessa, San Antonio, Waco, Wichita Falls; Utah – Salt Lake City; Virginia – Richmond; and Washington – Bellingham, Seattle, Tri-Cities, Yakima. 2 “Up to 10x faster” based on download speed comparison of 3G’s 600 kbps vs. 4G’s 6 Mbps. Industry published 3G avg. speeds (600 kbps-1.7 Mbps); 4G avg. speeds (3-6 Mbps). Actual speeds may vary by plan or based on other factors.